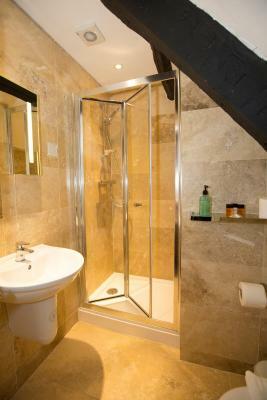 Lock in a great price for Georgian House & Mews – rated 8.6 by recent guests! 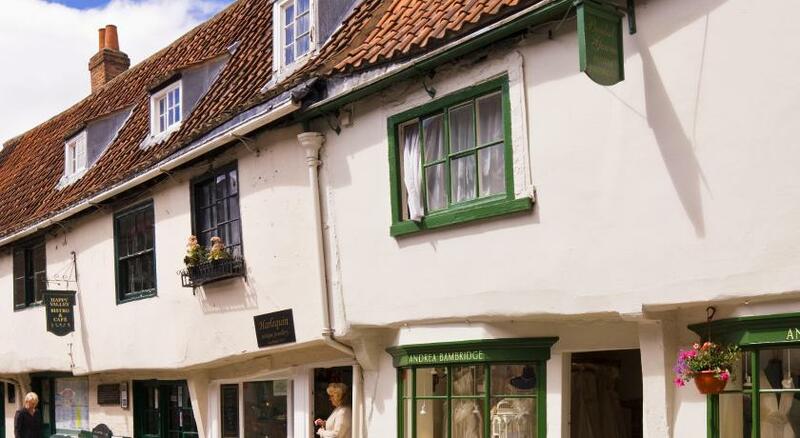 I love the location, near restaurants, the minster, museums, and the railway. The staff is friendly and helpful whenever a problem came up. They found me a dentist for a dental emergency, which was well above and beyond the call of service. The single was small but well laid out with a desk that was spacious for computer work and making tea/coffee. They also catered to my need to have a quick breakfast to be able to walk to bus stop for tours. overall the stay was fine, but the place is a little tired, it smelled of stale breakfast and the towels needed updating. Dirty glasses in the room and the decor needs an update as tired and a little dirty. 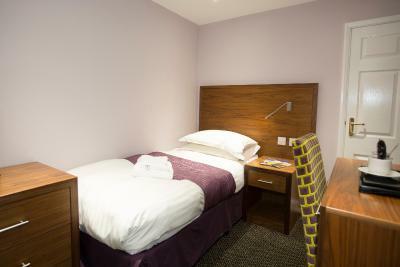 Large room , comfortable bed and great bathroom! Also nice and quiet. 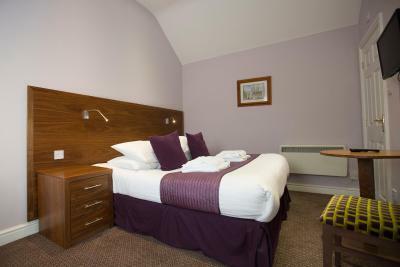 Price quite reasonable, room small but quite comfortable, and location within 2 blocks of York Minister was fantastic. It's proximity was fanatastic. We could walk everywhere. 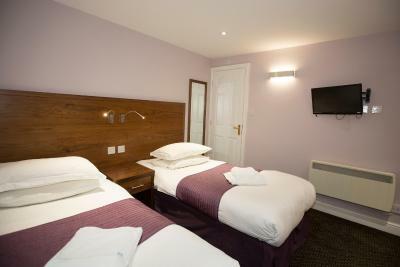 Staff were lovely, very friendly and accommodating. The room was very nice and clean. The location was also very great. We were allowed to eat our purchased suppers in the breakfast room. Complete with our wine! 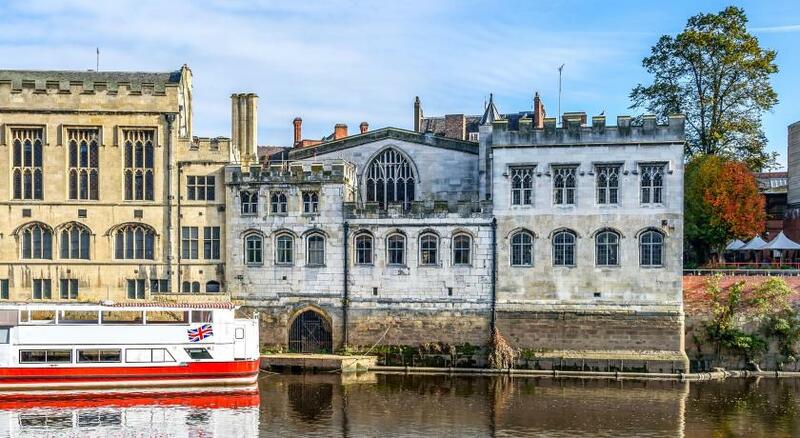 It’s right by the old city wall, and the Minster. Location, staff and value. Short walk to the minster and staff were always warm and welcoming. Excellent location very clean and good breakfasts. Georgian House & Mews This rating is a reflection of how the property compares to the industry standard when it comes to price, facilities and services available. It's based on a self-evaluation by the property. Use this rating to help choose your stay! One of our best sellers in York! 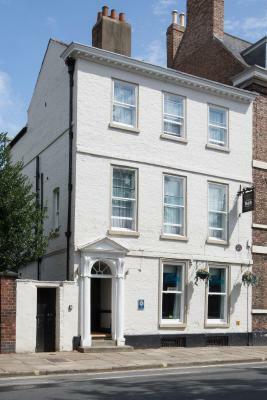 Set in a farmhouse from 1640, Georgian House & Mews is located in the heart of York, on the city walls. Free Wi-Fi access is available. 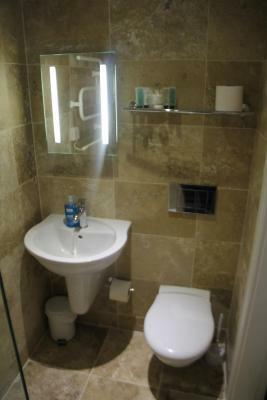 Each room with attached bathroom at Georgian House & Mews has tea/coffee making facilities, and also a hairdryer. 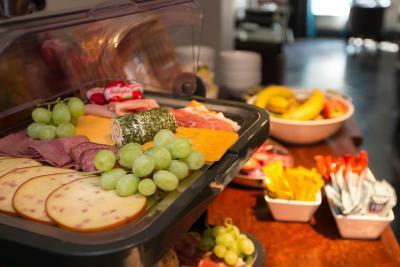 Guests can choose from a wide-ranging continental buffet or a full English breakfast, served every morning in the dining room for an additional cost. 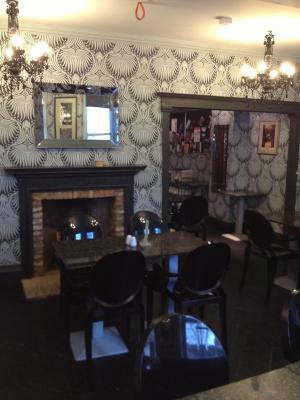 Guests can also relax with a drink in the bar. Other facilities offered include luggage storage. 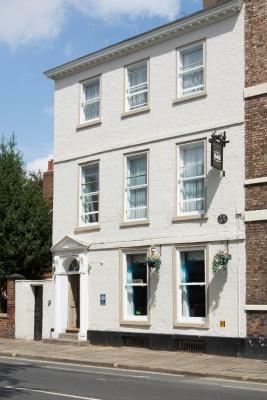 The guest house is a 12-minute walk from York Railway station, less than 2 miles from the University of York and a 9-minute walk from The Shambles. Leeds Bradford Airport is 28 miles away. 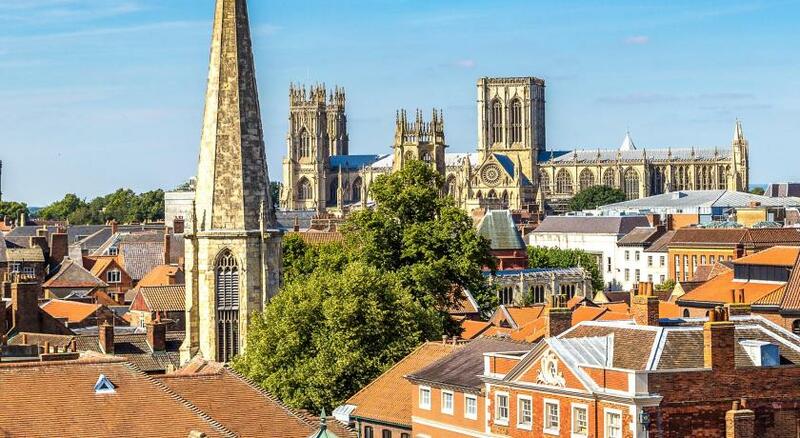 York Minster is a mere 5-minute walk away. 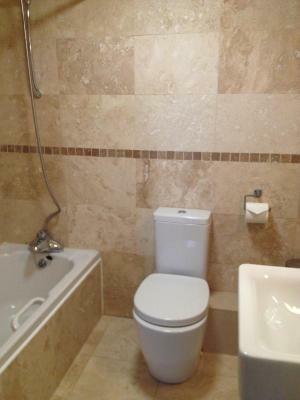 뀐 Located in the top-rated area in York, this property has an excellent location score of 9.5! 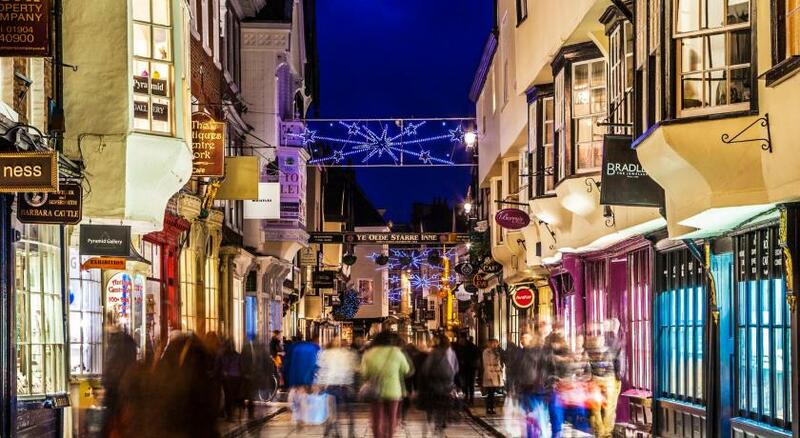 When would you like to stay at Georgian House & Mews? 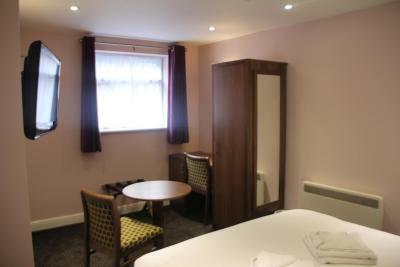 This room has a TV, tea/coffee making facilities, and an en suite shower room with a hairdryer. 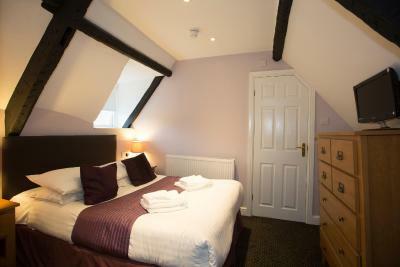 With a four-poster bed, this contemporary room includes tea and coffee making facilities with biscuits. 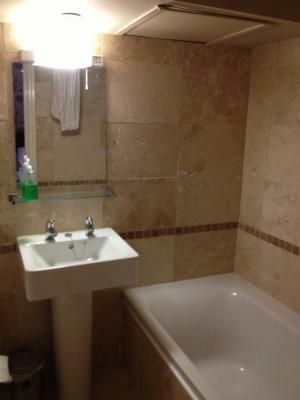 The private bathroom has a bath, shower, and complimentary toiletries. Upon request, Champagne, flowers, and chocolates can be ordered for that special occasion. Located within a separate building, these rooms are quietly located behind the Georgian House. 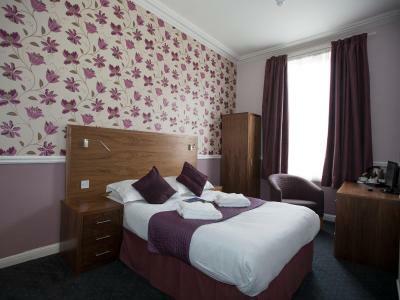 Each room includes a double bed, along with a TV and tea/coffee making facilities. 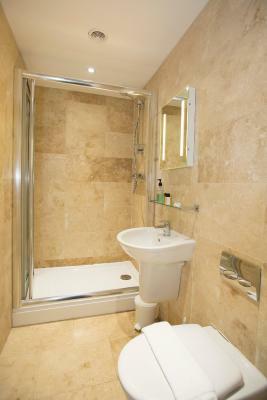 The room has a luxurious wool carpet and a shower room. 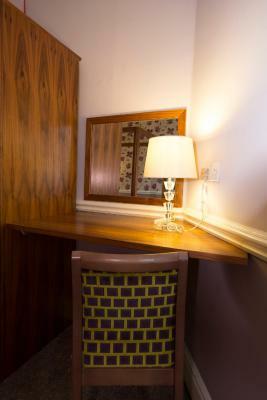 Please note that this room is located on the 2nd floor, up a narrow and twisting staircase. House Rules Georgian House & Mews takes special requests – add in the next step! 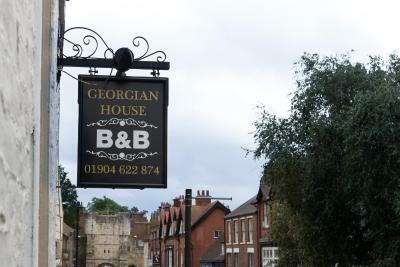 Georgian House &amp; Mews accepts these cards and reserves the right to temporarily hold an amount prior to arrival. Georgian House & Mews accepts these cards and reserves the right to temporarily hold an amount prior to arrival. 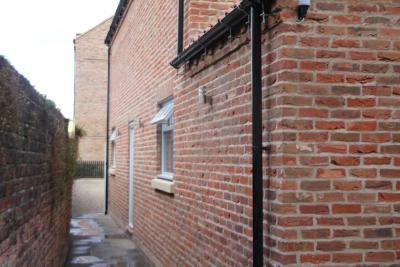 No private parking is available on site, but limited private parking is available in Bootham Row nearby. 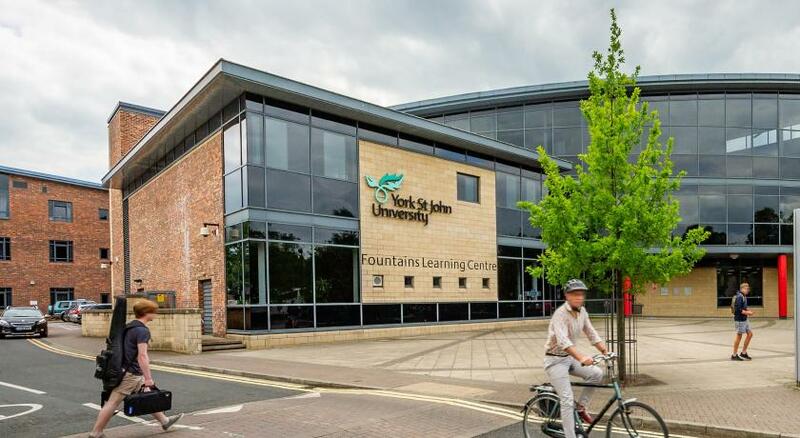 Further options are available at Marygate public car park. Both are at an extra cost of GBP 8 from arrival until 12:00 the next day. Permits are available for this from reception. 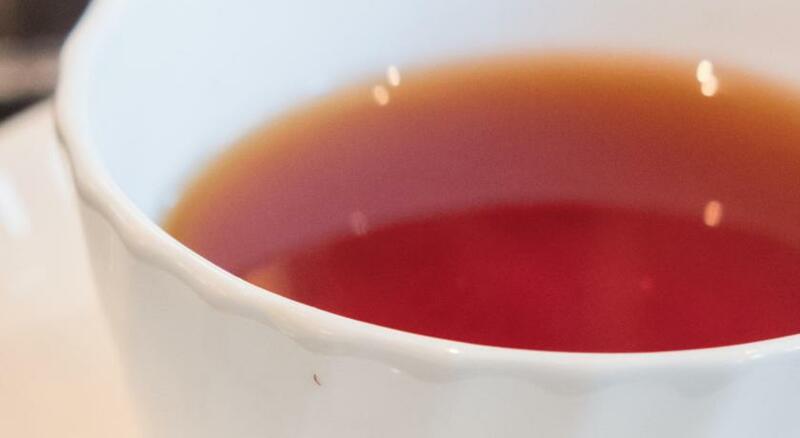 A full English breakfast can be added for an additional GBP 9.00 per person per night. 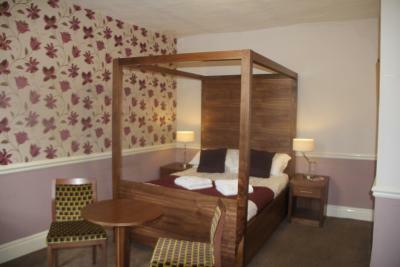 This can be booked with reception upon check-in. Please note, check-in is strictly from 14:00 until 22:00. The shower kept turning off while in use for no apparent reason. Only stayed for a night but this place had a lot of pros: Staff were very friendly, hotel in a great location, breakfast was lovely and set us up well for the day. 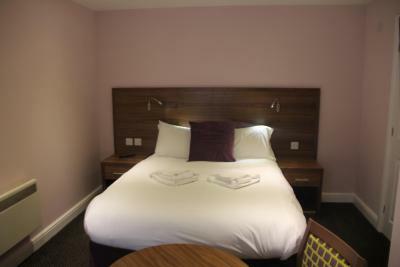 Our room was a decent size and well kept, lovely bathroom and bed was comfy. Would stay here again! 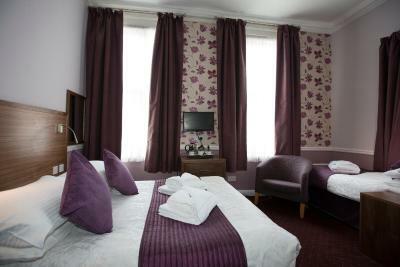 I liked everything the room was so comfortable, the staff were amazing, everything was clean and it was so private. Definitely stay here again! They need a new laundry service, dirty bedding and ripped towels when we arrived. Also a very weird set up in the bathroom and not the best shower. Staff could have been a little friendlier also. 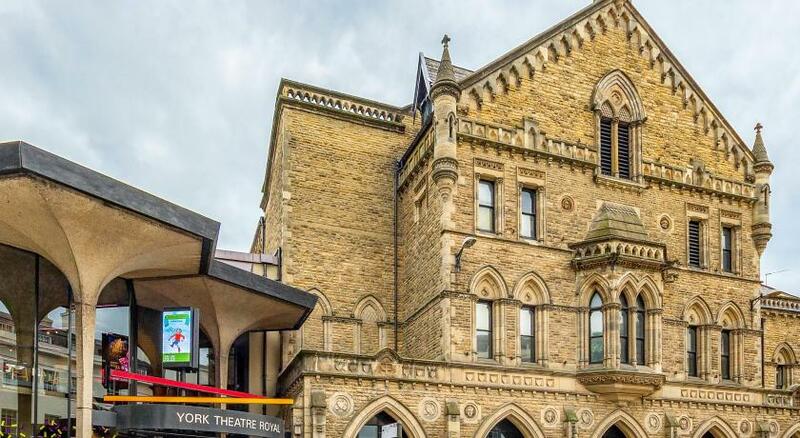 The location was absolutely great for us, very convenient. The rooms were a decent size too. Nothing it was all lovely! 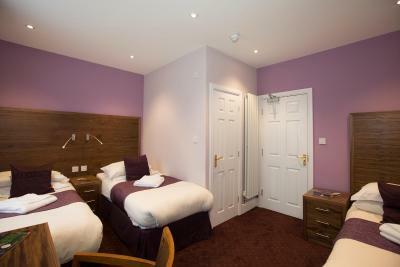 Lovely room, very clean and in good location! 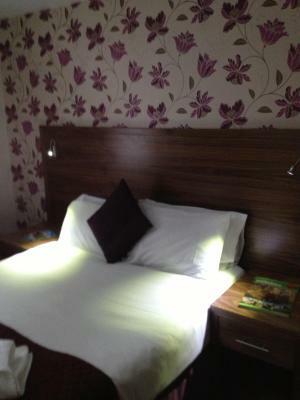 Room was very nice, bed comfortable, facilities good. Loved bottle of Prosecco as welcome gift, breakfast was plentiful, staff were warm, polite & very helpful. 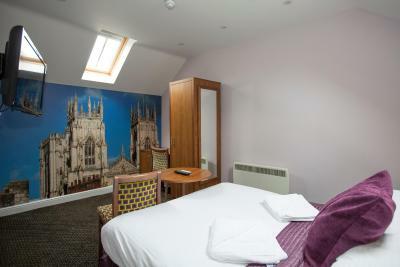 Excellent location as close to centre of York, inc. Minster, and all the shops. 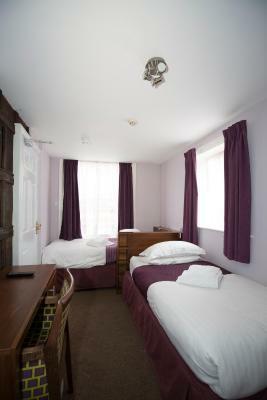 Felt like we were in a broom cupboard.Single beds which were squeezed in to the room. I booked the hotel as bed and breakfast, however when I got there they said we would have to pay £9 each if we wanted breakfast so we didn’t eat in the morning - we purposely booked this hotel with breakfast as I’m pregnant and would need to eat before setting off on the long journey we had the next day so was disappointed with this. Also, I didn’t like the set up of the room, the key we had opened 2 doors, the first into a lobby which was shared the room next door and the same key opened our room door - I felt nervous about this as the people in the next room would have access to our room but it was the last room available to we had no choice. The heating also kept going off, we rung reception and they described over the phone how to turn it on but didn’t seem interested in coming to sort it. The shower didn’t get hot either, only slightly warm. As we had to park in their car park, I was disappointed when we got there and it was only a pavement area off of another car park with a chain across the back of it, not really the secure car park I was expecting. The location of the hotel was great, walking distance to the centre, right where we wanted to be. Location, service, value, room all brilliant. Prosecco welcome gift a lovely touch. Parking arrangements easy and good value. Extractor fan and bottom of shower screen could have done with a little TLC but other than that couldn't fault a thing. 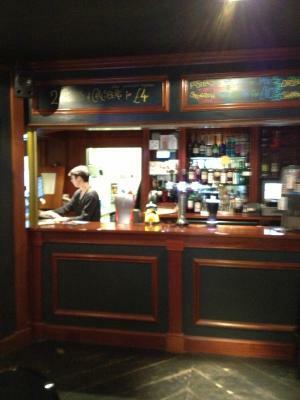 Staff were very friendly and helpful. Breakfast was excellent and the young ladies serving at table were very welcoming , cheerful, polite and helpful. 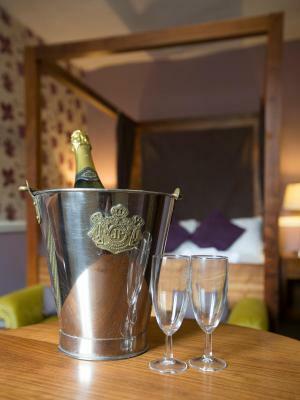 Prosecco in room to welcome you a lovely touch. Realy poor cleaning! Cold breakfast. Unfriendly staff serving breakfast.